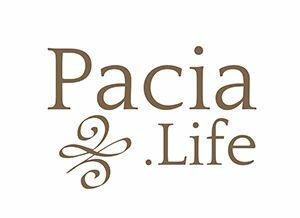 Pacia Life Boston (Cambridge/Somerville area) is home to some of the top resources and opportunities to launch one's life forward in the nation. Boston is known for its rich history, culture, sports teams, some of the top college institutions in the nation, 30 museums, great public transportation (The MBTA, lovingly known as The T), career and entrepreneurship opportunities and let's do not forget the fantastic seafood.Pacia Life Boston (Cambridge/Somerville area) is home to some of the top resources and opportunities to launch one's life forward in the nation. Welcome to our Pacia Life Boston Team! As educational specialists, job coaches, clinically informed life coaches, mentors, and professionals from many different academic and career choices we create the perfect blend of educational expertise combined with life coaches to guide our young adults into sustainable and successful lives. As a team, we believe in living life to the fullest and sharing our passion with our Life Coaching Clients. We pride ourselves in creating a partnership with our clients rather they be business professionals or emerging young adults, and figuring out a way through nearly any challenge.